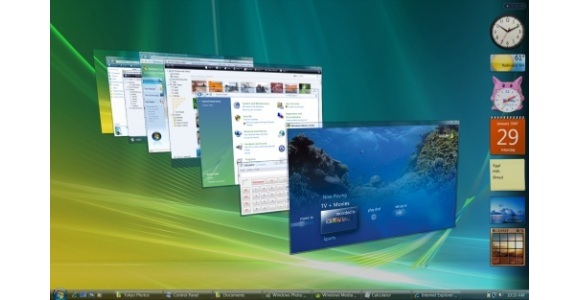 Last week I talked to you about Microsoft’s new Operating System ‘Windows Vista’ and discussed the functionality updates that have been introduced and how they could possibly benefit you.Those that missed my original article can check out www.computerarticles.co.uk to download a copy. Windows Sidebar – This is a transparent panel anchored to the side of the screen which allows the user to place small applets (known as Desktop Gadgets) which are designed for a specific purpose such as displaying your instant messaging contacts or the day view from your calendar.You aren’t confined to just the gadgets that come with Vista either as new ones can be downloaded free of charge off the Internet. Internet Explorer 7 – Whilst not necessarily a reason to upgrade to Windows Vista as this browser is available separately for Windows XP, it’s still nice to see a version of Windows bundled with a moderately advanced browser.I’m still a firm advocate of Firefox but no one can deny that IE7 is a big step up from insecure IE6 that ships with Windows XP. Windows Mail – Although this is a replacement for Outlook Express, the two look so similar that I’m not entirely sure why Microsoft bothered with a name change.What this new application does offer however is greater stability along with a spam and phishing filter which was sadly missing from Outlook Express. Windows Media Player 11 – This is a major revamp of the music and video player which includes a new interface, new sharing capabilities with Vista machines and Xbox 360 integration. Windows Media Centre – Whilst not present in all versions of the new OS, Windows Media Centre is included in the Home Premium and Ultimate versions of Vista.This application is designed to allow your PC to serve as a home entertainment hub as with suitable hardware your PC can act as a high definition video recorder and player or a music jukebox. Speech Recognition – This has been greatly improved when you compare it to the speech recognition present when you installed Office 2003 (reviewed several months back in Click) along with Windows XP as you can now control the entire OS by voice commands rather than just individual applications. Backup and Restore Centre– This application gives users the ability to schedule periodic backups of the machines as well as restoring files from backup when required.Whilst tape support is no longer present it’s nice to see an easy to use and low maintenance backup application in a Microsoft Operating System. Parental controls – I’m sure I don’t really need to go in to much detail here; the parental controls allow users with administrative privileges (parents) to control which websites, programs and games each standard user (kids) can have access too. Improvements have also been made to the Windows Update tool, Calendar, Photo Gallery, DVD Maker along with dozens of other bundled applications and whilst I’m still sticking to my point that Vista is overpriced, overdue and in some cases resource hungry would I go back to Windows XP?Not a chance!